he importance of PCR DNA amplification technology has continued to grow since its conception spurred a Nobel Prize in chemistry in 1993. Today, in the world of real-time PCR, there remain critical aspects of assay design that must be considered for optimization and to maximize cost- and time-efficiency. When performing gene expression studies, one of the first branch points in experimental design strategies is whether to perform multiplex or singleplex PCR. This is important, because each of these methods differ significantly in their experimental setup and optimization strategies. 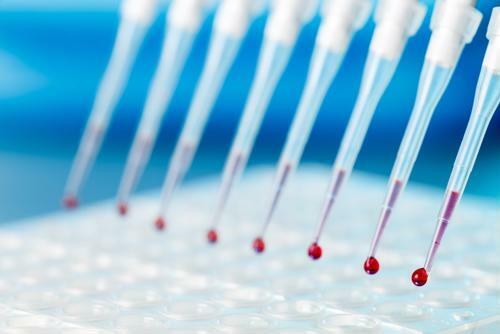 In this article, we will discuss the pros and cons of multiplex versus singleplex PCR as well as the essential things you need to know about optimizing multiplex PCR reactions. In conventional singleplex PCR, a single target is amplified in a single reaction tube. In contrast, multiplex PCR allows for simultaneous amplification of multiple target sequences in a single tube using specific primer sets in combination with probes labeled with spectrally distinct fluorophores. Thus, one reaction includes many separate PCR reactions. Therefore, multiplexing allows you to distinguish between each PCR amplicon and simultaneously measure expression levels of multiple target sequences of interest. Indeed, multiplex PCR is commonly used for variety of research applications, including: gene panel expression, pathogen detection, SNP genotyping, gene deletion analysis and template quantification, among many others. Singleplex PCR is used for detection of a single target sequence and does not require specific probes. Therefore, it's not surprising that singleplex PCR is inherently simpler in its design, implementation and optimization. It can be fast and easy to perform with little optimization required. Unlike multiplex PCR, the need for multiple rounds of primer redesign is typically eliminated. In singleplex PCR there is no primer-primer competition, or need to consider relative abundance of target in regard to primer concentration. Given its rapid design and limited initial optimization, it is ideal for those testing varied target sequences, when performing initial scouting experiments, or even for use in massively parallel technology. Multiplex PCR can have a number of substantial advantages compared to singleplex PCR, especially if you plan to have repeated and high-volume analyses of the same targets. Therefore, it is essential to understand the advantages and potential disadvantages of this assay system. The ability to simultaneously analyze multiple target sequences in a single tube allows for maximizing use of precious starting material, such as human or animal tissues samples, as well as reduced reagent use. With optimization, this can translate to increased time and cost-efficiency, yielding more data from each reaction and utilizing fewer reagents (e.g. dNTPs, enzymes, etc). This allows for increased throughput, with fewer pipetting steps and, thus, a decreased risk for pipetting errors. Additionally, multiplexing opens the possibility for an internal reference for each sample.When multiple targets are amplified, this can significantly increase the accuracy of comparative analysis with improved normalization. Given the increased complexity in design of multiplex PCR assays, including multiple primer sets and specific probes, there are some inherent components that often require some initial optimization. Indeed, target amplification can be affected by primer interactions, competition for reagents within the reaction, as well as relative target gene expression levels. Thus, successful design of multiplex PCR assays requires investing some initial time and resources toward optimizing and validating the assay. The more likely you are to be repeatedly analyzing the same targets, then the benefits are significantly more likely to outweigh the initial startup costs. Firstly, good primer design is a must. Reassuringly, there are multiple open-source primer design software programs available to simplify this process with in silico design. In this process, it is critical to limit homo- and heterodimer formation as well as hairpin formation within and among your primers. Your primer sets should share similar melting temperatures, and result in amplicons of similar size (most commonly 70-150 bp), as longer targets can amplify less efficiently than shorter targets. Also, if one target is much more abundant than another, you may need to limit the primer concentration of the more abundant target to prevent it from essentially out-competing a low abundance target by depleting reaction components. You should also BLAST assay oligonucleotides to check for potential off-target sequence interactions. Once designed, you should validate your multiplex primers by testing them individually against the template to be sure they amplify a single target. With regard to probe optimization, it is important to test the dynamic range for each of your probes in a singleplex reaction over a range of dilutions. Similarly, it is important to validate your multiplex reaction by comparing your multiplex conditions to each individual reaction for verification of performance. While these performance verification steps require additional work up front, it can save you troubleshooting time and reagent cost in the long run. When choosing your dyes, it is important to choose dyes with limited or no overlap in their emission spectra. In addition, you can optimize utilization of various dyes with respect to your targets by coordinating high fluorescence intensity dyes (such as FAM) with low abundant transcripts and vice versa. Lastly, an oft overlooked step in multiplex assay design is buffer optimization. Indeed, multiplex PCR assays often require extra dNTPs, magnesium, and polymerase compared to singleplex reactions. Therefore, choosing master mixes specifically designed for multiplex assays can significantly limit the time and energy spent optimizing buffer conditions.